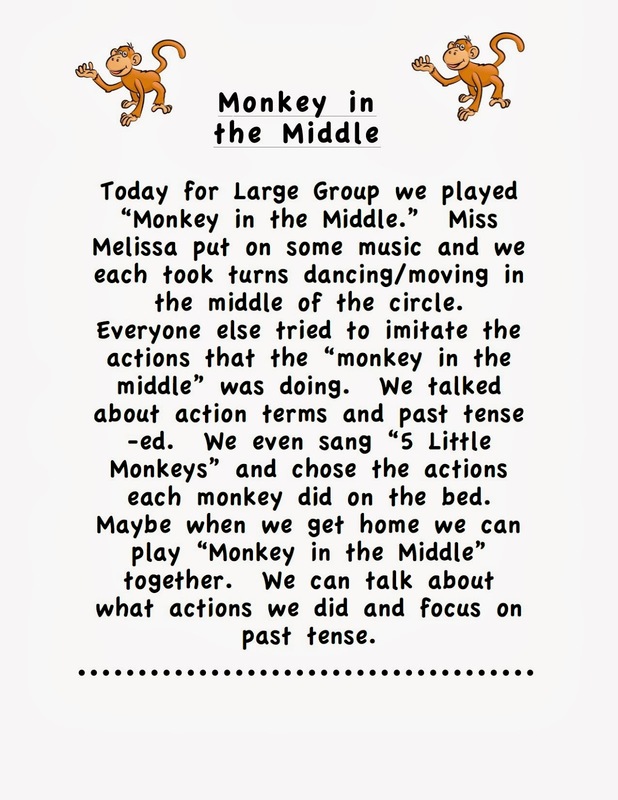 We will be doing monkey in the middle, focusing on actions and past tense -ed. Our weekly handout is a great one that gives some ideas for working on action terms with young children. It is from the Speech, Language and Communication Website for Cambridgeshire.